Choosing a toy for an 11-year old boy is a fun activity. At this age, boys can play with all types of toys. Educational toys, cartoon-inspired toys, game consoles or sport-related toys are all real options at this age. This opens up the possibilities for a great gift. At the same time, it represents a good opportunity to inspire boys to get into what they really like to do. This wide range of possible gifts makes some parents nervous. But since there are thousands of gifts to consider, it is recommended to choose a toy which is fun to use. 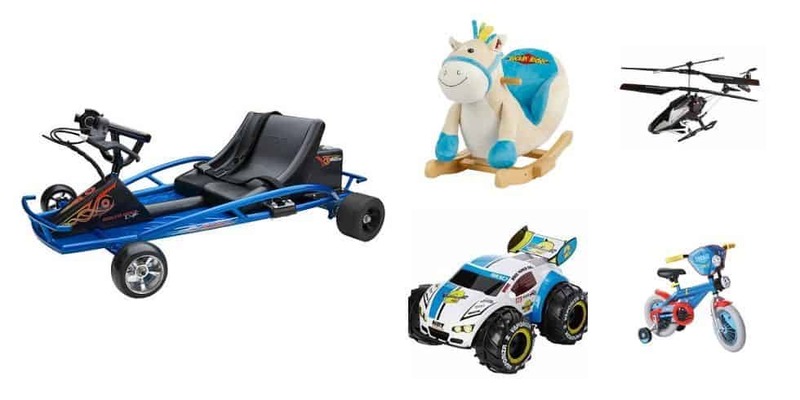 The perfect toy gift is the one which is going to be used and since boys this age have plenty of energy and interest in the surrounding world, there are a number of options which stand out among the rest. Here are the top ideas. 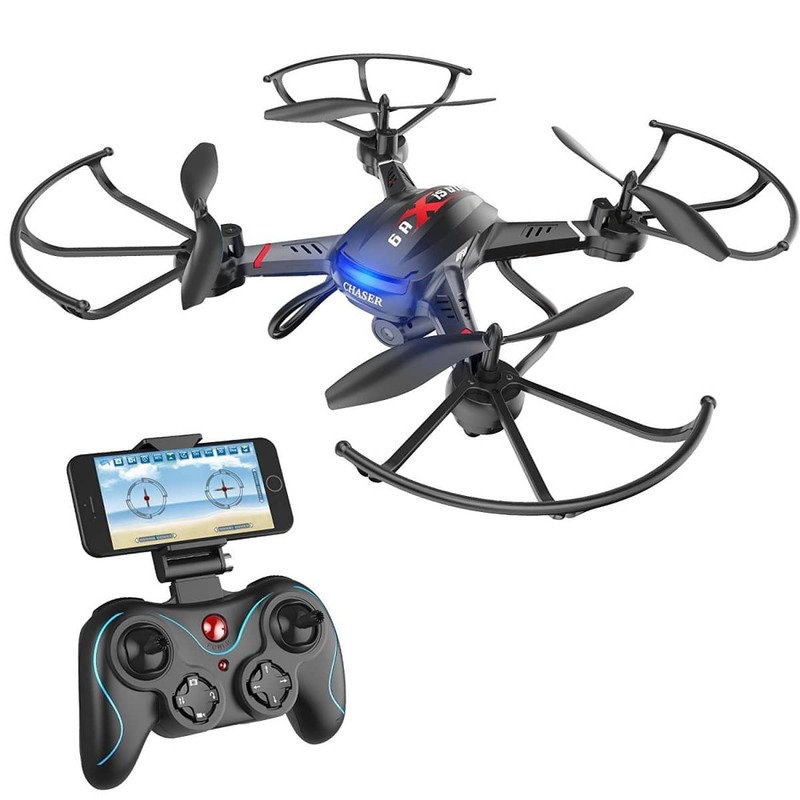 Why we like it: The affordable drone is one of the best gift ideas to stimulate the creativity of young boys who like to spend time outdoors. The drone is designed to be easy to use. While it represents an affordable alternative to professional drones, its operation is similar. It works with a remote control and with a screen which is actually your smartphone. Being small in size, the drone is also easy to carry when going away from home in areas such as parks. Made with a small but capable camera, the drone can capture 720p HD images. Maneuverability is not bad either. With altitude hold and multiple speed control functions, the device comes with a short learning curve. Why we like it: Made with a robust frame and an electric motor, the buggy represents one of the coolest gift ideas which can see boys riding outside for hours. There are not many toys which can be as fun as a buggy. 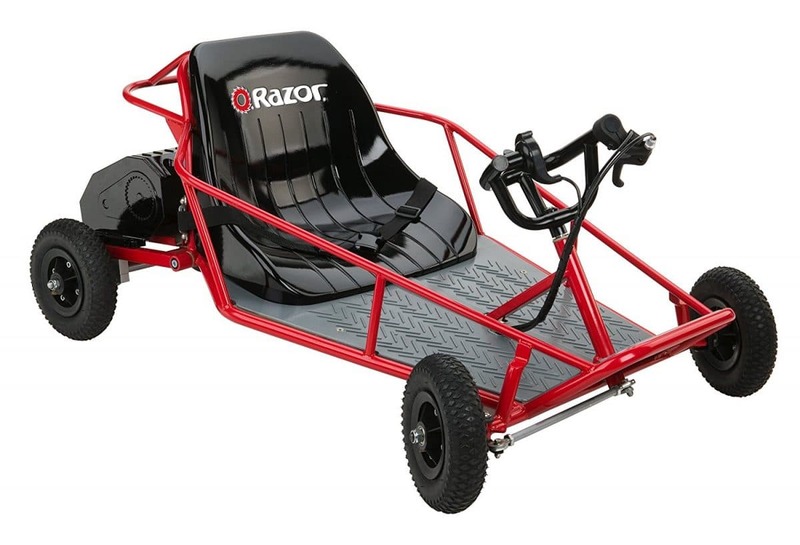 With a simple and durable design, the Dune Buggy is great for all boys who want to spend more time outdoors with a motorized design. Powered by an electrical motor, the buggy can reach speeds of up to 9mph. The buggy isn’t the only lightweight, it is also practical when taking corners. With hand throttle and rear disc brakes, it also stops fast, for the ultimate fun experience when out of the home. Made from tubular steel, it is also durable and it can handle weights of up to 120lbs. Parents will also be happy to know the buggy comes with added safety features which include a seatbelt. But the most interesting characteristic is the electric design of the motor which doesn’t need any fuel to run. Why we like it: The latest Nintendo Switch is easy to use and it supports some of the most popular games on the market. There’s little doubt the Nintendo Switch is a hit with boys. Now available in a modern improved design, the controller is highly versatile. It can be as a simple console controller but it can also represent the on-the-go solution boys love. A few of the top games which are worth considering alongside the Switch include FIFA 19, Mario Kart 8 and Crash Bandicoot. With great versatility based on the TV mode, tabletop mode, and handheld mode, the Nintendo Switch is also a great multiplayer solution. The grips can be removed to create two separate controllers. These controllers also come with improved in-game vibrations for a more realistic playing experience. 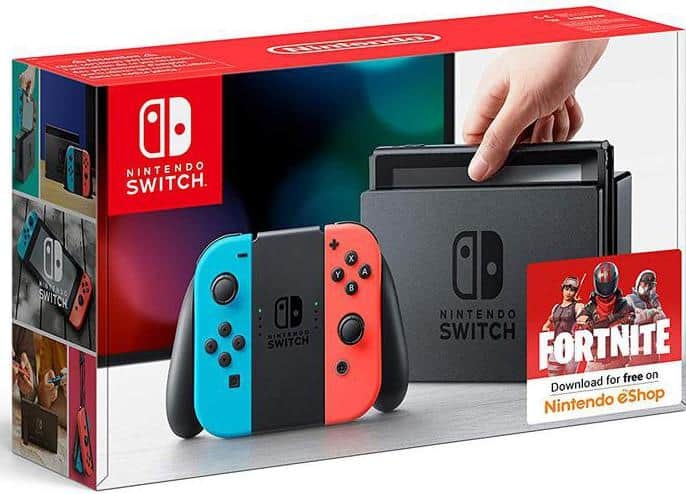 Furthermore, boys can have a lot of fun with their friends as up to 8 consoles can be connected for wireless playing. As a mobile design, the Nintendo Switch can also be a method to make time pass by faster, especially when traveling. Playing away from home is easier as well as the Switch comes with improved battery life. Why we like it: With the possibility of bringing kids and adults together, the game offers a great experience with 2 glowing Orbs as flags. Capture the Flag is one of the most fun gift ideas for kids to stay active. 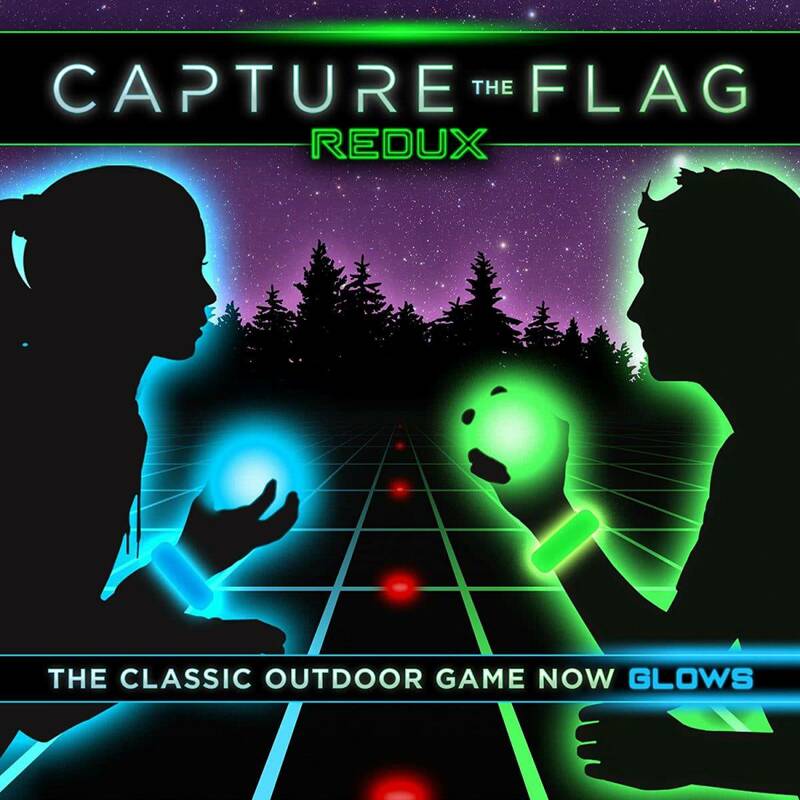 It is based on the traditional game of capture the flag but it comes with glow in the dark game pieces. With 33 game pieces and batteries which can last up to 24 hours, kids and adults can play the game together. It can be played outdoors or in the school gym in low light conditions. The idea of the game is to create teams and mark the jail territories. After this point, the teams have to hide or to seek the Orb, which represents the traditional flag. The game comes with 16 LED grow bracelets which represent the foundation of two teams of up to 8 members. It allows kids to play together or for adults to join them in the ultimate low light experience which can be an alternative to the time spent indoors on game consoles. Why we like it: Pranks have always been fun and having them collected in a single book can be the foundation to hours of fun. 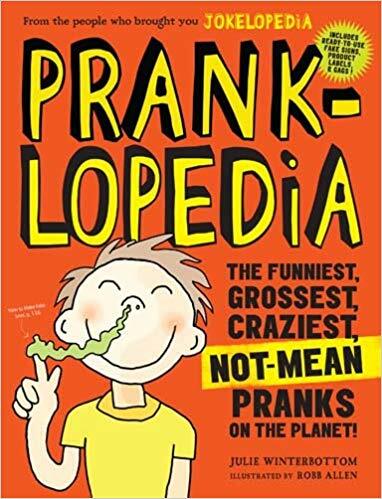 With an impressive selection of pranks, the book can be one of the fun gift ideas for boys. It comes with many popular pranks such as the Homework Hoax, the Squirting Blister or the Movie Popcorn. Most of the pranks can be pulled by kids themselves and it is why they represent one of the best solutions to fire kids’ imagination. The pranks can often be daring and one of the most popular pranks involves the Freezing Family computer, which might seem something kids would get in trouble with but which is just a prank in the end. With many harmless banana pranks, the book can inspire kids to create their own pranks on either friends or family. The book is available in paperback to make it a good gift idea. Why we like it: The award-winning robot is one of the quickest methods to get kids into coding which fun but challenging at the same time. Ozobot can be an interesting gift idea for boys who like the tech side of playing. It uses a native app to get kids into coding. Creating a custom code results in the robot acting differently and it also allows kids to take full control. The idea behind this is that creating a custom Ozobot experience, kids can have their own custom play time, with various mazes and obstacles to overcome. Ozobot can be programmed to dance, race and recognize obstacles. It is a quick solution for kids who want to integrate a tablet to take control of their play time. Furthermore, kids can also use a marker and white paper to draw various mazes which Ozobot can follow using its built-in sensors. With a strong orientation towards computer programming compared to other toys, it is a gift idea which can serve those looking to learn to code at a basic level. Some pre-installed games are also available through the Ozobot app. Why we like it: The Star Wars-inspired robot is one of the most interesting solutions when it comes to fun time with tech. 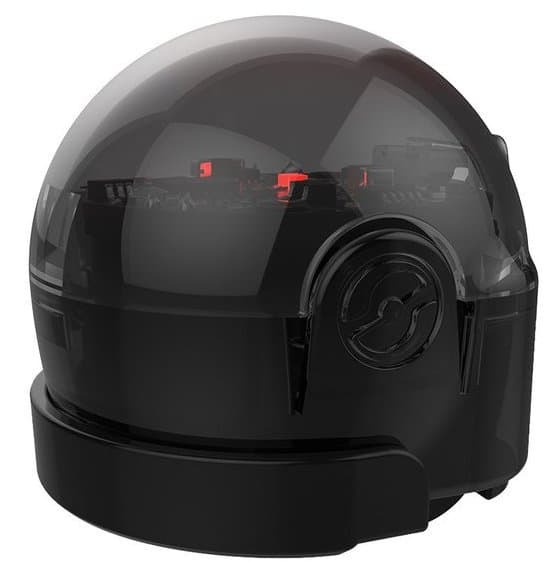 The small robot is one of the recommended gift ideas for Star Wars fans. It comes with Bluetooth connectivity and a top speed of 4.5mph which makes the compact design a quick-to-react toy. Using its native app, it can be controlled from a smartphone. Its rolling movements are similar to what kids see on screens, which makes it even more realistic. Of course, the robot reacts to Star Wars movies as well. It is why kids can watch the series together for more fun and customized experience. But the small robot also has an educative side. It comes with the Sphero Edu app compatibility which is recommended for the first steps in coding. Even more, the robot can also react to other Sphero Star Wars Droids. This allows kids to integrate the robots into a fun playing time, in which multiple kids can participate with their own little robot. Of course, all robots need power. 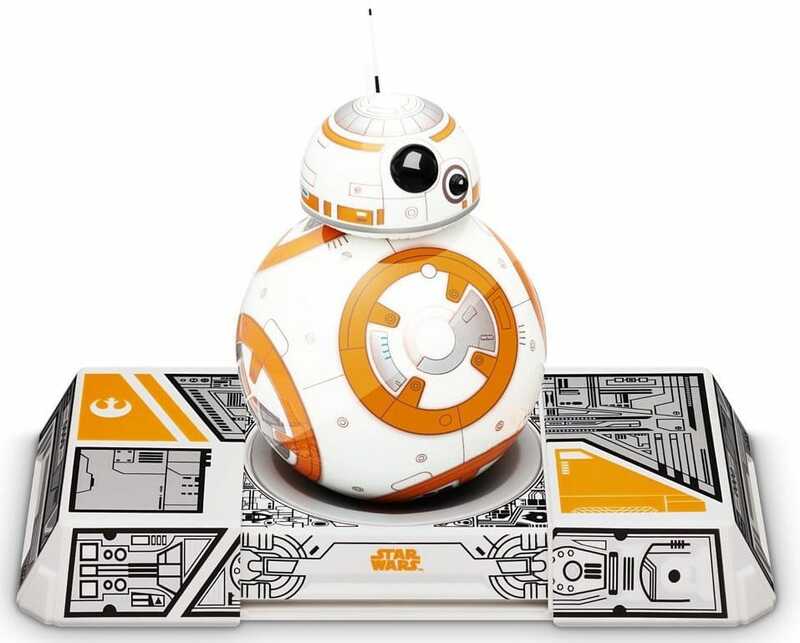 The BB-8 comes with a battery life which lasts up to an hour, which can be enough for most games. Why we like it: Made with a foldable design, the set can be a great starter gift for boys who like hockey or for those looking to start playing hockey at home. Made with a compact size, the hockey set can be an inspired idea to get kids more active. It can work well for hockey fans or those who are just starting out. With plenty of room for maneuverability, it can easily be moved from location to location. It can also be easily transported when playing away from home. The pop-up design is recommended for its practicality. It allows the set to be fully foldable for storage purposes so that it can be kept away from changing weather conditions or when not in use. The set also comes with two player sticks and a soft foam mini hockey ball. 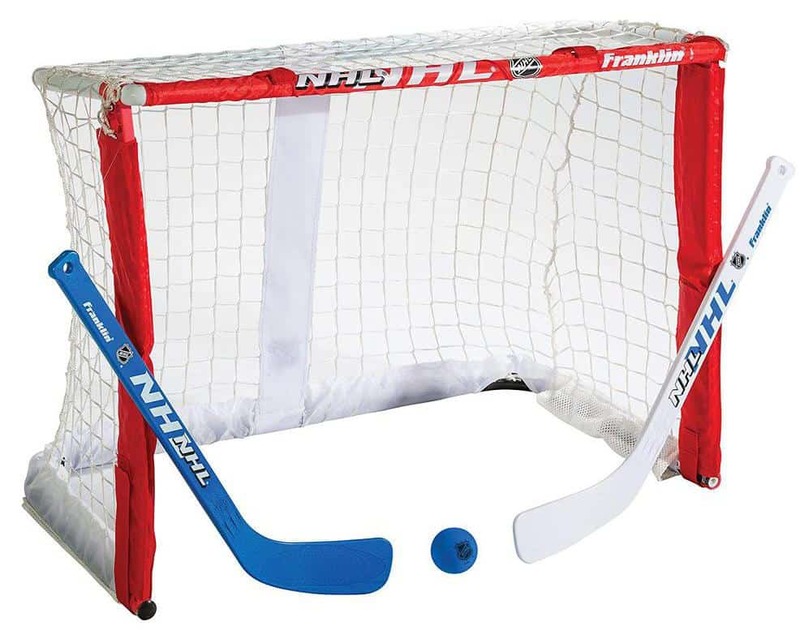 It can be used by kids and adults playing together and since it comes with a softball, it is also safe while kids learn the proper way to maneuver the hockey sticks. The good news is that all of these accessories can’t be easily lost. They can be stored in the additional pockets which have been added to keep everything organized. 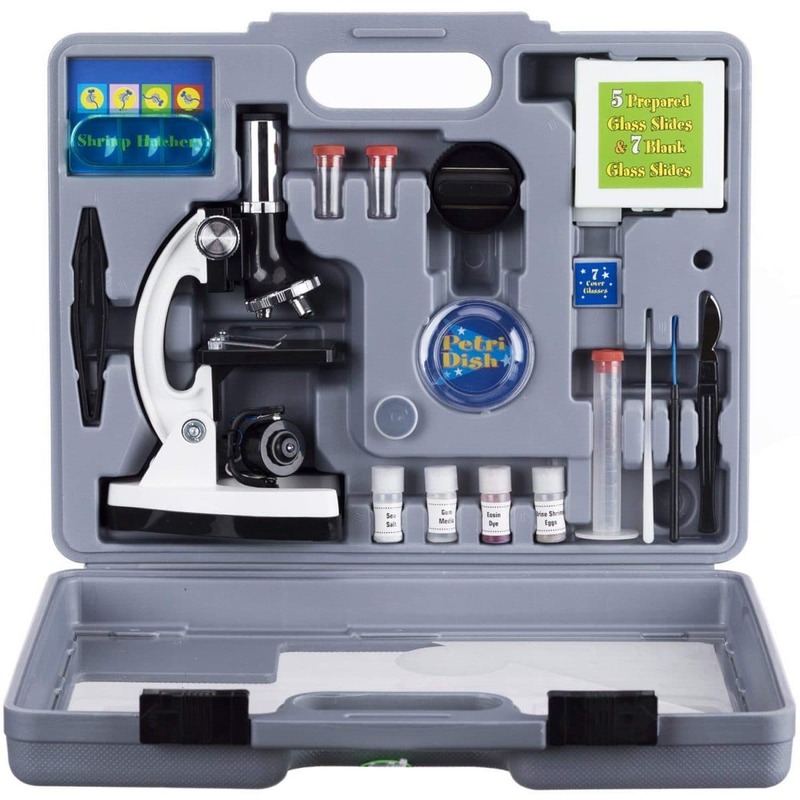 Why we like it: As a tool for learning, the kids’ microscope can be used for maximum fun while learning. The surrounding world can always offer something interesting for children to learn about. The Amscope-Kids microscope is one of the best tools to discover more about the surrounding world. It comes as one of the potent affordable designs. In fact, it has been awarded the Top Pick Microscope for Beginners prize, which confirms its potency. With 6 magnifications from 20X to 1200X, the microscope is fully functional, even for kids. There are 52 accessories which come with the microscope as well. They can be used for a more complex learning experience. The accessories include 10 prepared slides. Most kids can find them useful when it comes to starting using a microscope. But parents might also be worried about the durability of such a microscope. The good news is that with a metal arm base, the microscope is quite durable for long-term learning. With the added lighting function, it can be a different way of learning kids actually enjoy. Why we like it: Offering rapid fire in a compact design, the blaster can be one of the most fun shooting experiences for little boys. The Nerf Blaster is one of the most fun gift ideas for kids. All boys like to play blasting games shooting their opponents and having a fun toy which is safe for this purpose is what many parents are looking for. Apart from its cool design, the blaster also comes with rapid-fire shooting capacity. 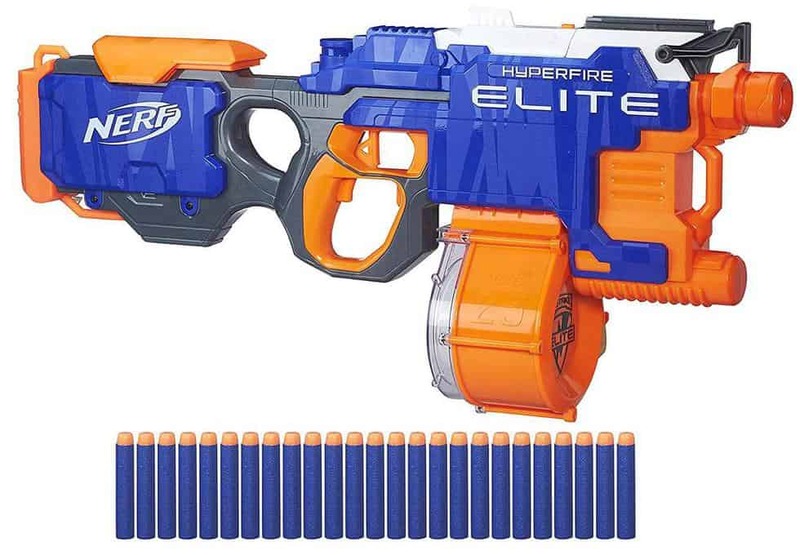 With 5 darts per second, the blaster is among the recommended designs for those who seek to make the most of their play time and it can be useful for kids who miss their target as well. The darts are fired up to 90 feet away which means the blaster is easy to use in large outdoor spaces. Playing in the backyard is now possible with the ability to reach opponents even from a distance. Made with 25 elite darts, the blaster can be used in various games which can bring kids together for a fun experience outdoors. Of course, the blasting capacity is powered by batteries and parents need to purchase them separately. Why we like it: With a unique shape and a concept which requires kids to develop patience, the toy can be an original gift choice. There are many toys which can serve as a gift, but the Spin Master Games bring a classic appeal that many kids today are not exposed to anymore. With 70 challenging obstacles in a globe, the Spin Master is among the most interesting games for creativity, crucial thinking, hand-eye coordination and for time spent with an educative toy. It comes with 22 feet worth of track which is recommended for hours of fun time. The 3D labyrinth is made with multiple colors which represent one of the most interesting design innovations to make tracking obstacles easier. 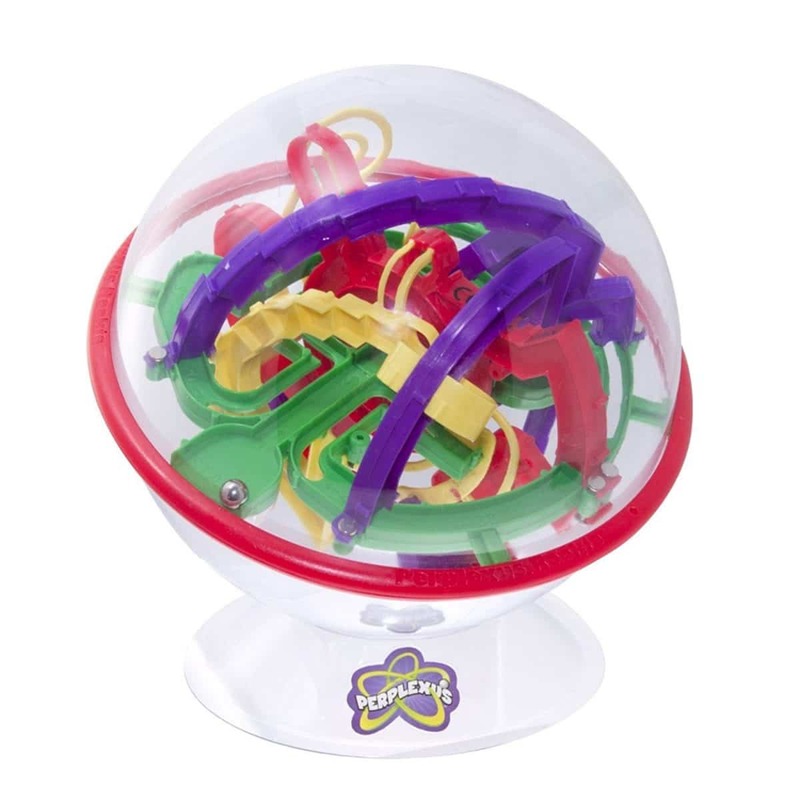 Of course, since the game is packed in a sphere, there is no way to touch the ball directly and kids will have to spin the sphere around until they can pass all 70 obstacles. The game requires no batteries and it can be a simple solution to use when traveling. The game can also be played by adults and it can be one of the toys which are used for more time spent together by kids with their parents. 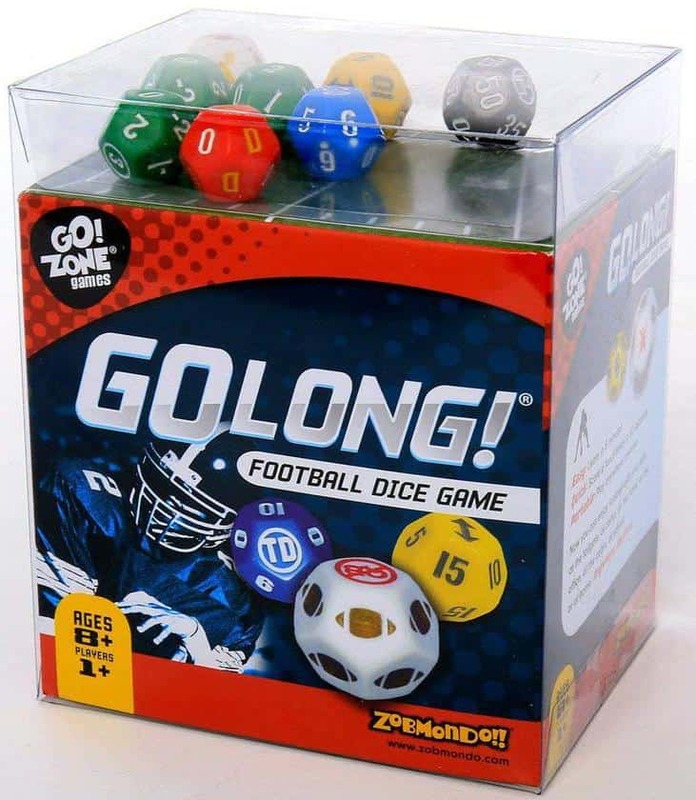 Why we like it: The game brings football passion in a traditional dice game which can be a great way of teaching kids about the combination of strategy and luck. Based on football, the game can be one of the most addictive American portable games. It is played head to head or in teams of two players. The dice game strategy takes players 100 yards down the field where they can score touchdowns. Of course, this is not without obstacles such as sacks or penalty flags. The game is easy to learn, but mastering it takes time. Kids who love football find that mastering the game can be a challenge. In the box, kids have the 8 dice, the dice cup, a scorecard and a travel bag to keep everything organized. The game is not complicated to learn both by kids and by adults. It is actually based on football rules and the dices represent a strong link with the game. However, it comes with a short learning curve but using the instructions and keeping the score with the included scorecard can make the game fun and easier to learn. Why we like it: With a unique set boxing, the crystals represent more than a toy as they can be used as a learning tool. There are not many kids who can say they saw crystals growing. But the set from 4M toys is one of the most interesting choices from this perspective. Kids can see the crystals growing in their containers. Of course, since all of the crystals look impressive, they can be used for decoration in the kids’ room. 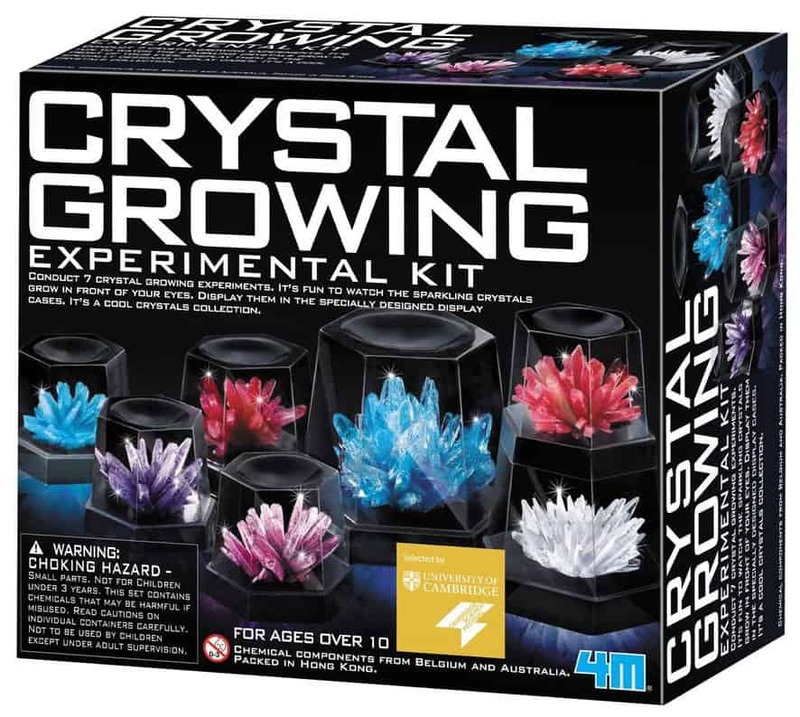 In order for the crystals to grow, kids need to follow a few simple guidelines. Everything needed is included in the pack. Adding hot water to the mixture which prepares the crystals for growth. After they sit for about 15 minutes, the crystals can be transferred to a clear container. Different colors are provided by the manufacturer and kids can have crystals of different sizes and of different colors. The mix and match variation can be one of the educative solution used to improve imagination. Why we like it: With assembly required, the robotic arm can be one of the most original gift ideas for boys. There are various toys on the market for boys but not many of them can compete with robotics. The OWI Robotic Arm takes this even further. It comes to offer a full engineering experience, even with great affordability. 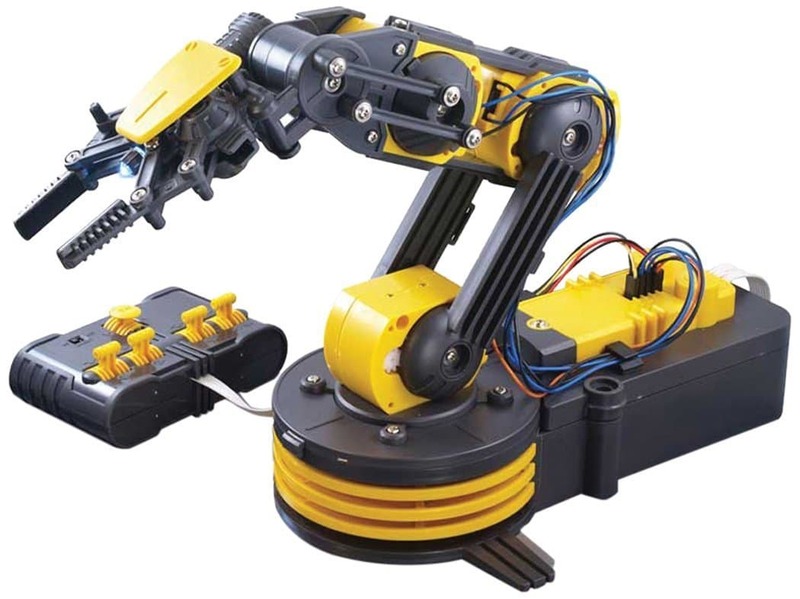 Since there are many robotic arms designs on the market, it’s worth considering the best ways to make the most of the toy. But kids will be surprised to learn that the OWI Robotic Arm is not ready to use out of the box as it needs to be assembled. There are around 200 pieces which go into the arm and they represent the foundation for a toy which seriously tests the patience of the kids. With a radial wrist motion of 120 degrees, an extensive elbow range of motion of 300 degrees and a base rotation of 270 degrees, the design is fully functional. For this purpose, the grip also opens and closes to grab various objects. Why we like it: Providing hours of fun, the lowrider is a must-have for Batman fans. The Joker is one of the crucial characters in the Batman series. Lego is now offering a true lowrider as an impressive toy for the Batman fans. It comes with 433 pieces which take time and patience to fully assemble. The famous vehicle comes with all of its important characteristics, such as the bouncing suspension and the spring-loaded shooters. With role-play fun, kids can try to play with various Batman characters to try and catch the Joker. 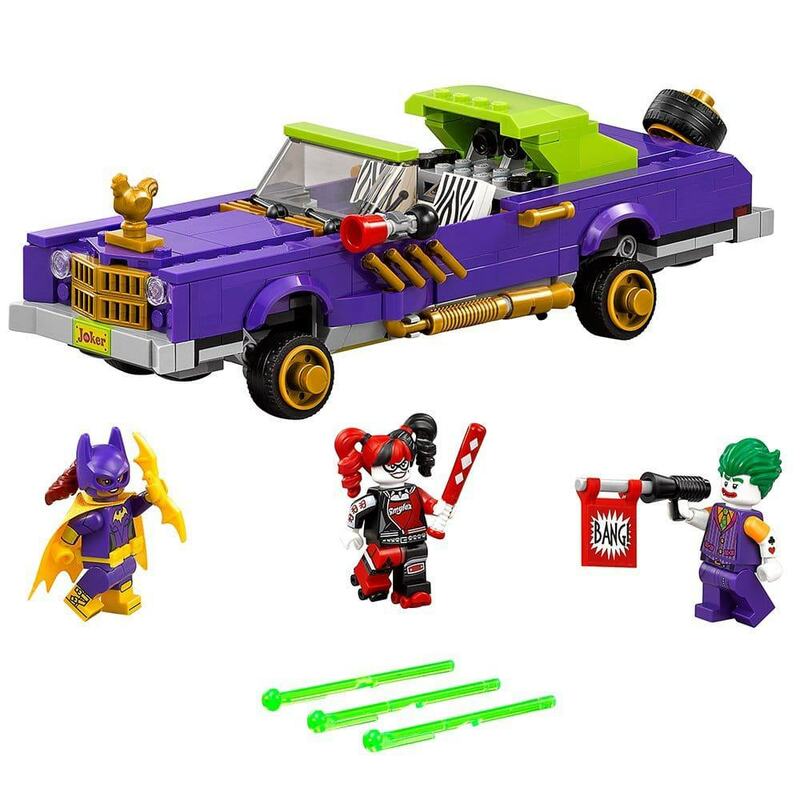 At the same time, kids can use the extra accessories such as the Harley rollers and other Lego figurines for a more complex Batman-themed play time. The set is quite large but it is not quick to assemble. However, kids can have fun in the process and their work is finished when the Batgirl and the Joker are placed in the lowrider. Why we like it: The toy can be one of the most innovative ideas for boys to start creating their own direct computer input keys form everyday objects. How many kids can say they play the piano with bananas? 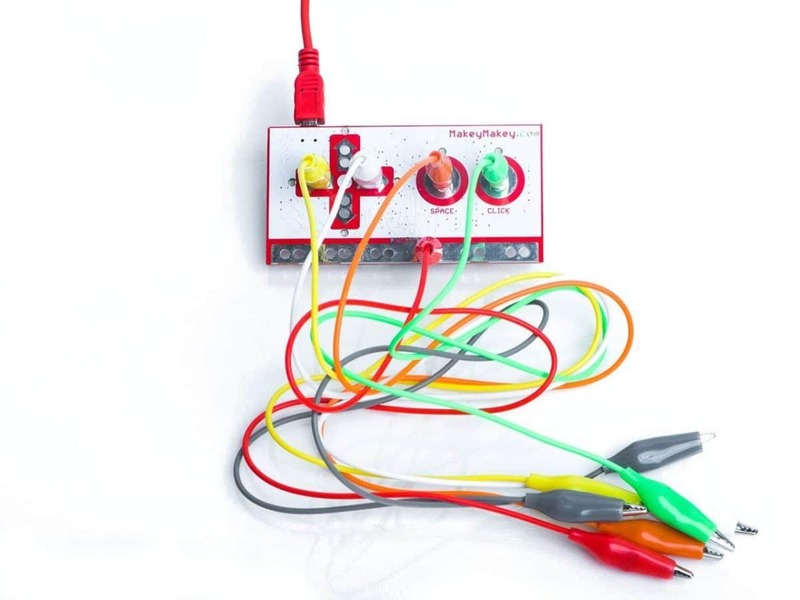 Most people would think that this is not possible, but Makey Makey has turned this into reality simply by allowing themselves to use conductive technology which uses everyday objects to send a signal to a computer. Conductive materials such as bananas, oranges, potatoes, steps or even water glasses can serve as the ultimate input solution for your kids. Based on 12 inputs are controlled by the ATMega controller which then sends the signals to your computer via USB. Of course, the fact that you can use many objects as keys means that the possibilities are endless. For example, kids using Play-Doh can create their own game controller. You can create keys for directional movements, up, down, left and right. You can also assign various other keys. Classic games which don’t require complex controllers can be played in a fun and different way as a result. It is why you can find the kit as a great tool to boost the imagination of children and to allow them to create their own controllers. The kit is safe to use, even with water. Why we like it: Designed with a compact size, the telescope offers details the human eye simply cannot see up in the sky. 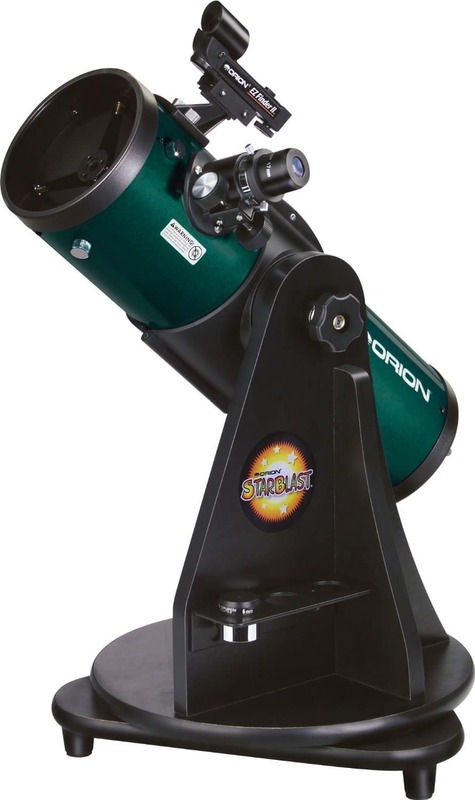 With a compact size, the telescope is a great introduction to the world of stars and planets. Being small in size, it can be moved from location to location. Kids can use the telescope from a balcony by placing it on a table. They can also use it from the backyard with a simple chair. While it is an affordable telescope, kids can still make the most of its capability. Seeing Saturn’s rings or moons can prove to be a unique experience, much different to what they would normally see in a geography book. Made with 17mm and 6mm lenses, the telescope comes with easy aiming, an eyepiece rack, a collimation cap plus its own Starry Night dedicated software. Being made with borosilicate glass, the telescope is also durable. Its f/4 aperture recommends it even when the night is at its darkest. With a unique learning experience, the telescope is more of a learning tool than a toy and it can be a great introduction to the surrounding galaxy. Why we like it: The Ecto-1 is a staple for most kids and it offers a throwback to what was and still is a popular series for those of all ages. The Ghostbusters series is one of the classics in the movie and cartoon industries. It has made an impact on generations of kids and it is still popular due to its unique story and characters. 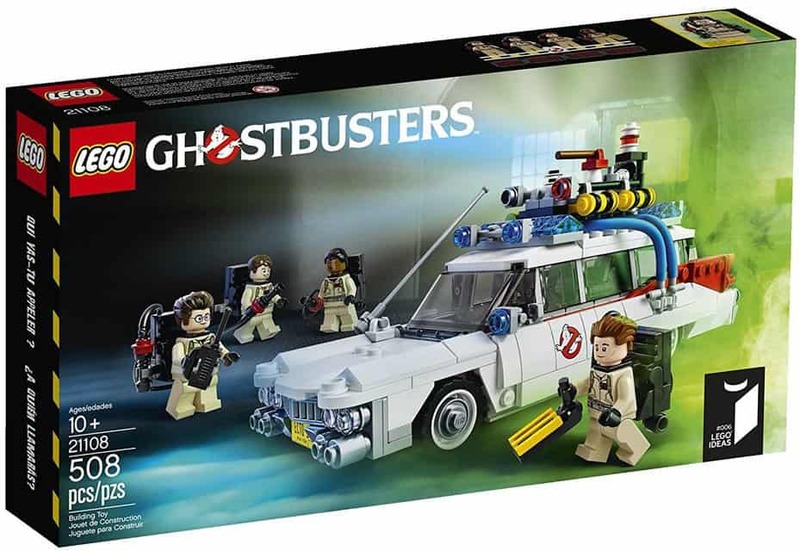 To celebrate its legacy, Lego has created the famous ghost mobile complete with four figures. Peter Venkman, Ray Stantz, Egon Spengler and Winston Zeddemore come in the pack. There are 508 pieces which make the Lego kit which means kids can spend hours assembling it. The Ecto-1 comes with a removable roof, paranormal detection equipment, and a tracking computer. They can be used for play time together with other Lego toys. But the vehicle can also serve as decoration in the kids’ room. With a length of 20cm when assembled, the vehicle can be quite impressive when on display. Why we like it: With over 300 circuits to build, the kit is recommended for kids who want a strong tech interest. Snap Circuits have always been fun to use. For many kids, they are much more than a simple toy as they represent the basis for all electronics. With a modern design, the kit comes to meet the changing needs in today’s education approach. However, at its core, the circuit remains the same. 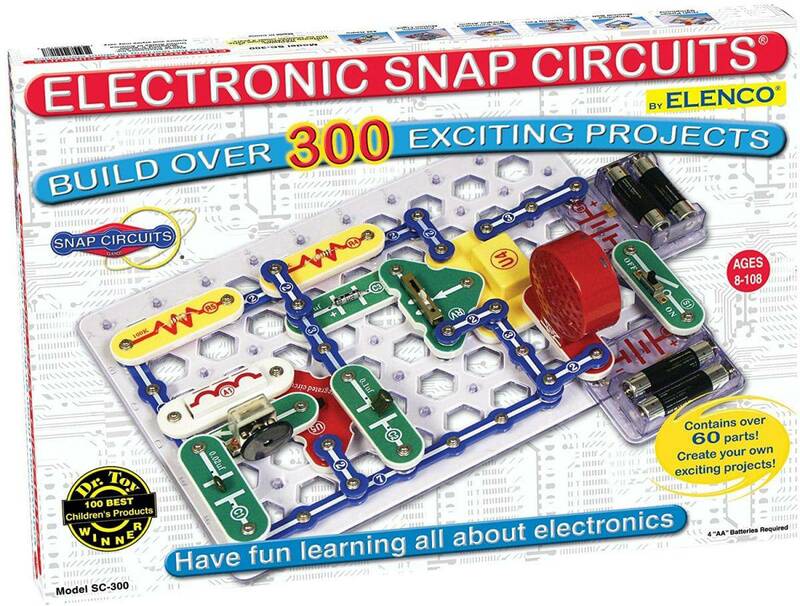 Kids can choose up to 300 electronic circuit projects which can be assembled with the 60 pieces the set comes with. The main purpose of the kit is to learn while practicing. It means that kids can learn about such circuits as a burglar alarm or a basic radio. Using their own ideas, kids can also create unique circuits for maximum freedom to learn by practice. Interestingly, each circuit is mentioned in the user’s manual. There are short paragraphs describing how each of the circuits works so that kids can see the real value and possible real-life applications. Why we like it: The compact skateboard can be one of the fastest ways to get kids to be more active. Rimable’s 22” skateboard is lightweight and durable. Made to be practical for kids, it can be a great method to get active or even to get to a destination faster. The manufacturer managed to create a solution which gets kids into the sport but which also comes with an entire skateboarding culture. Made with impressive pattern prints, the skateboard is among the solutions which are the easiest to deal with when it comes to attractiveness. Its materials have been recognized for durability. 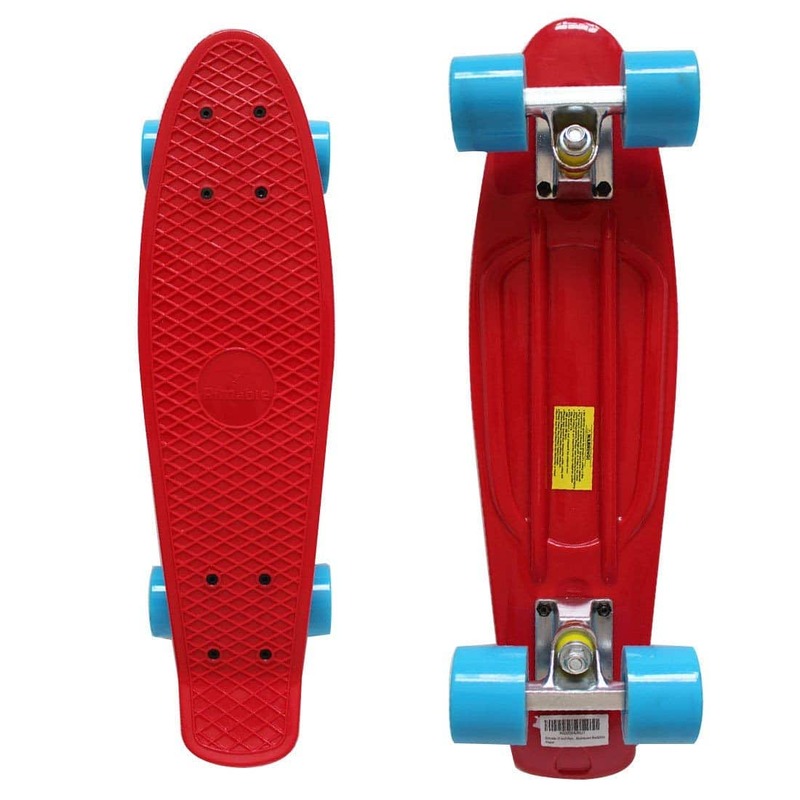 With a maximum weight capacity of 198 pounds, the skateboard is recommended for long-term use. Why we like it: Easy to use with a durable design made for kids and adults. 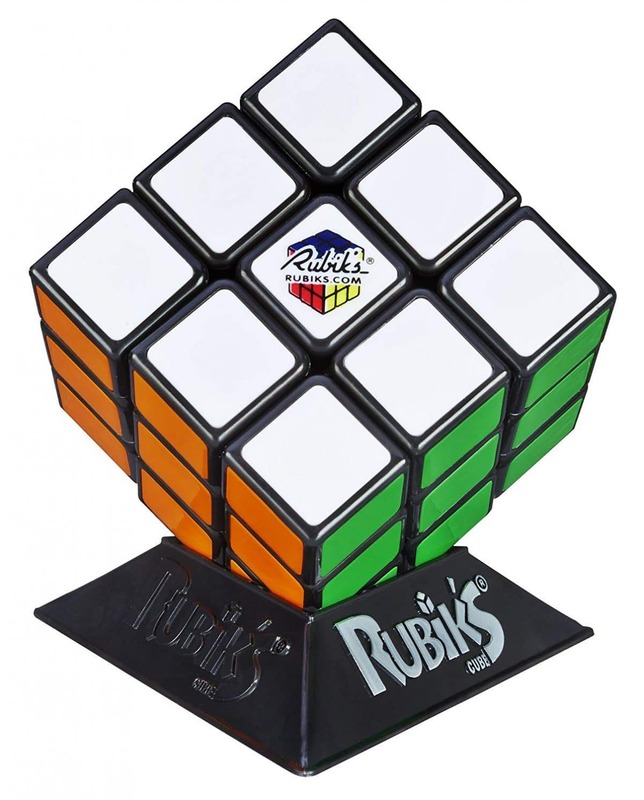 The Rubik’s Cube has been a popular way to play across the world, surpassing its Hungarian roots. It is also one of the easiest ways for kids to start thinking creatively and to also be solution-orientated. Twisting, turning and rotating is what kids need to do in order to solve the cube better and faster. With an included display stand and a protective box, the cube is even recommended as a display toy in the kids’ room. Why we like it: Made with flexible and durable materials, the glove is recommended for kids who are getting into baseball. The baseball glove can be one of the best choices for active boys. 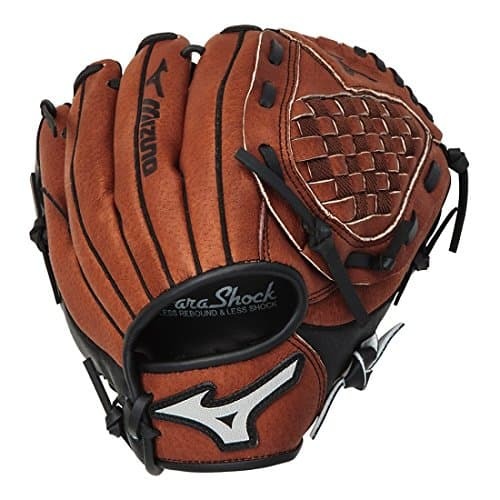 Mizuno’s glove is comfortable and durable while offering good hand protection. It includes the Heel Flexion Technology which improves the needed flexibility for catching. Mizuno also used the PowerLock technology which provides a secure fit which follows the natural shape of the hand. With thick lacing, the glove is recommended for good durability. 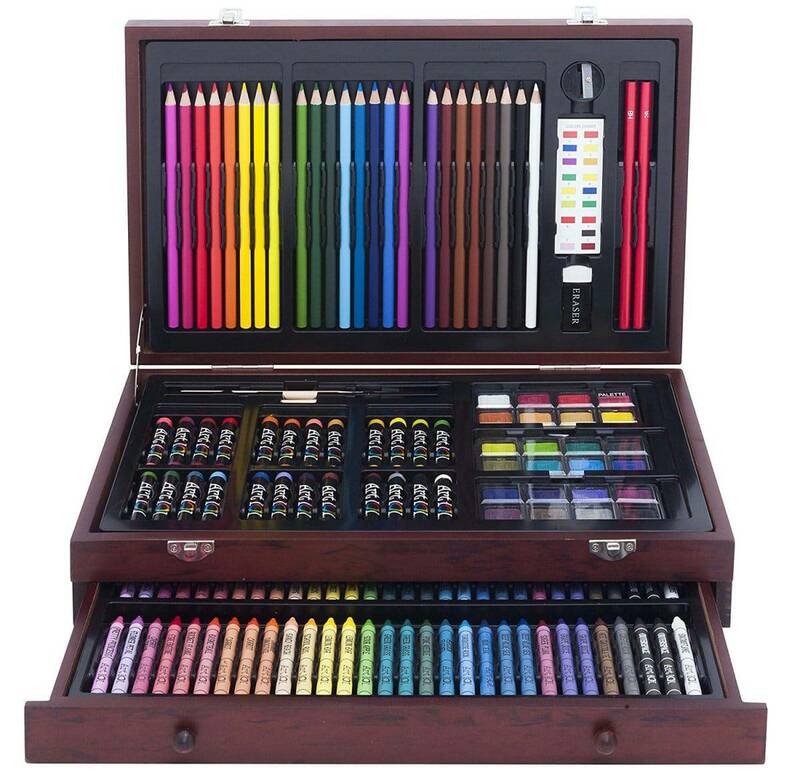 Why we like it: Offering a wide range of colors, the set is recommended as a gift for kids who are passionate about drawing. Drawing has been proven to be one of the favorite activities for kids all around the world. But with improving technologies, the tools used for the best drawings have improved as well. The Art 101 142-Piece Wood Art Set is among the most interesting options when it comes to quality and storage. Made with a beautiful wooden case, the set is recommended for kids of all ages. It includes pencils, crayons, and water painting solutions. Why we like it: Made for flexibility and durability in all weather conditions, the watch can be used during all types of daily activities. 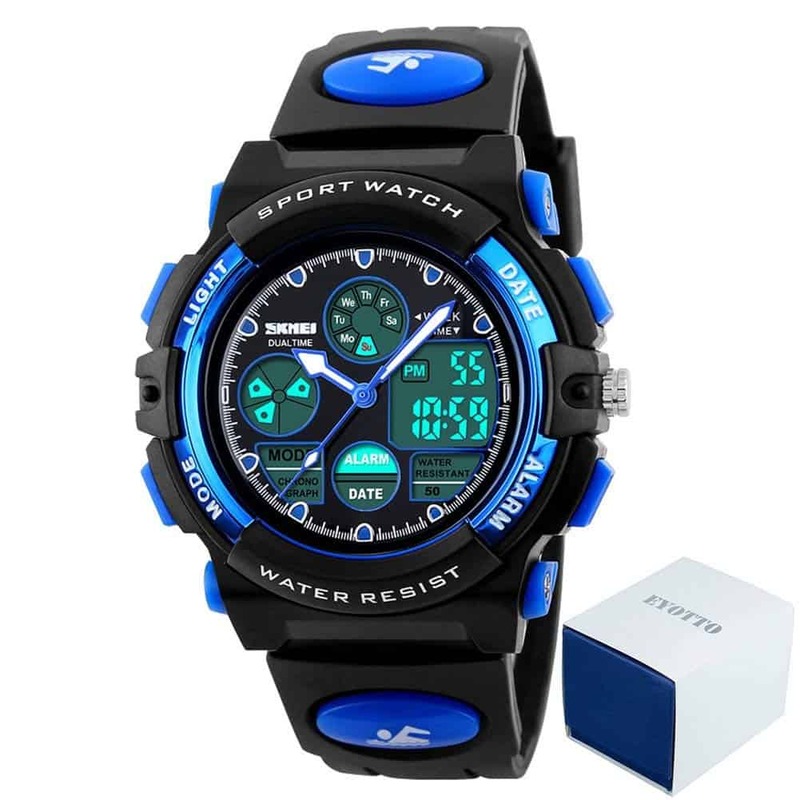 The watch is one of the comfortable solutions for young boys. Made with rubber materials, it is not too hard on the hands. At the same time, the watch is among the recommended choices when it comes to good visibility regardless of the time or the weather conditions. With an included backlit screen and a built-in alarm, the watch represents a top choice as a daily driver, even when in contact with rain as it is water resistant. Why we like it: With a compact size, the camera manages to record HD quality images for adventure-orientated kids. 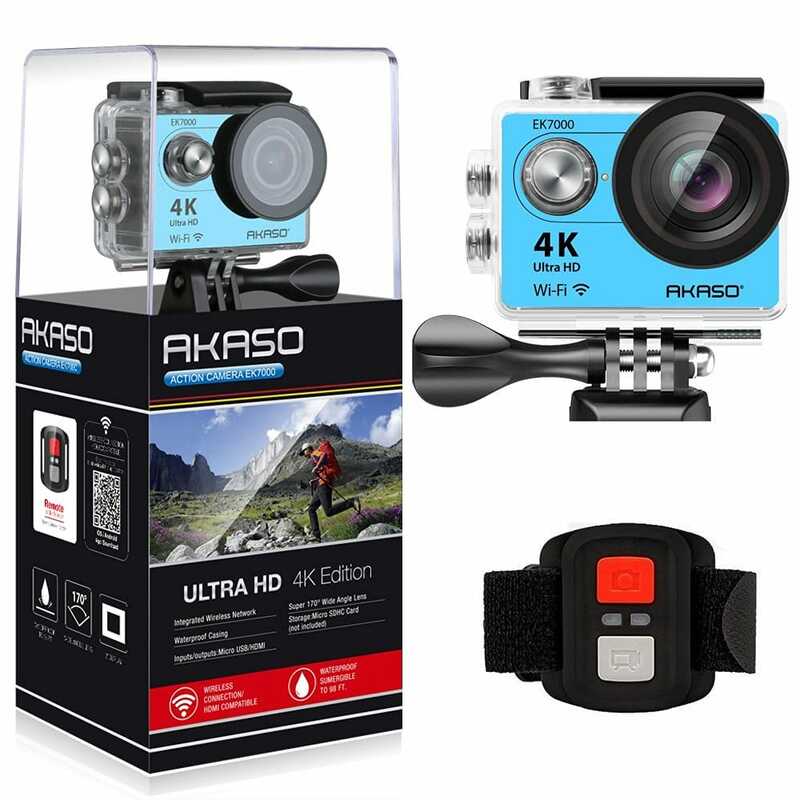 An action camera can be a top choice for boys who love to stay active. With 4K video recording capabilities, a wide angle lens and a 2” screen, the camera is easy to use and offers great images. It is also WiFi enabled which means data transfer is easier as well. Made with a waterproof design, the camera can also be used by boys during all types of water activities such as swimming or polo games. 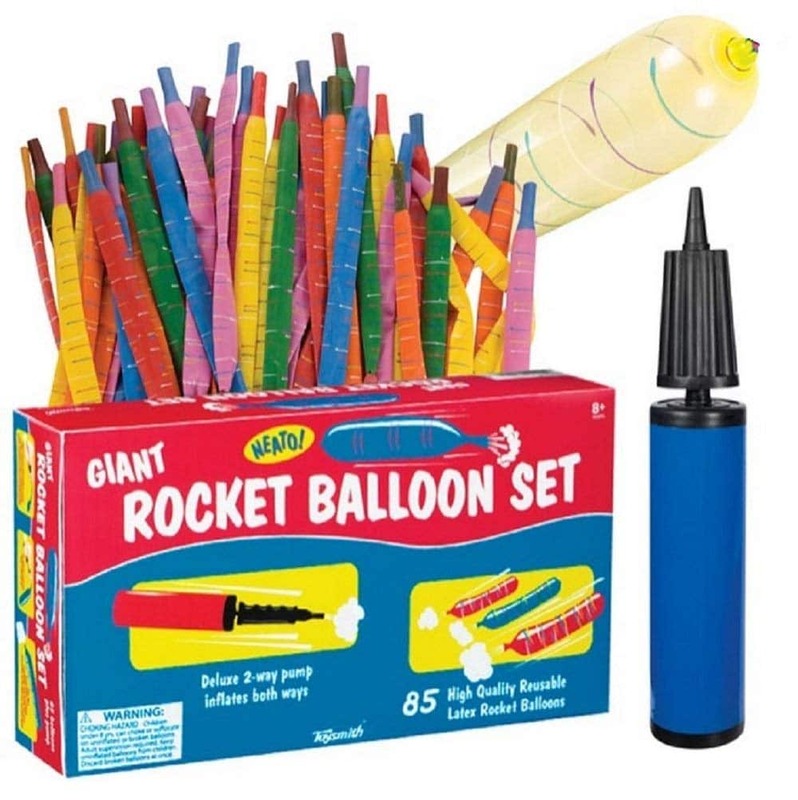 Why we like it: The classic rocket balloons are recommended for hours of fun with the help of the included air pump. Rocket balloons have been a hit for years. Today, the balloons still offer plenty of fun and with a set of 85, they can be used both indoors and outdoors for hours of fun. With an included air pump, the balloons also prove to be easy to use. Made from latex, the can also be used multiple times for months. Why we like it: The set is recommended for outdoor adventures, especially for days spent hiking with the family. 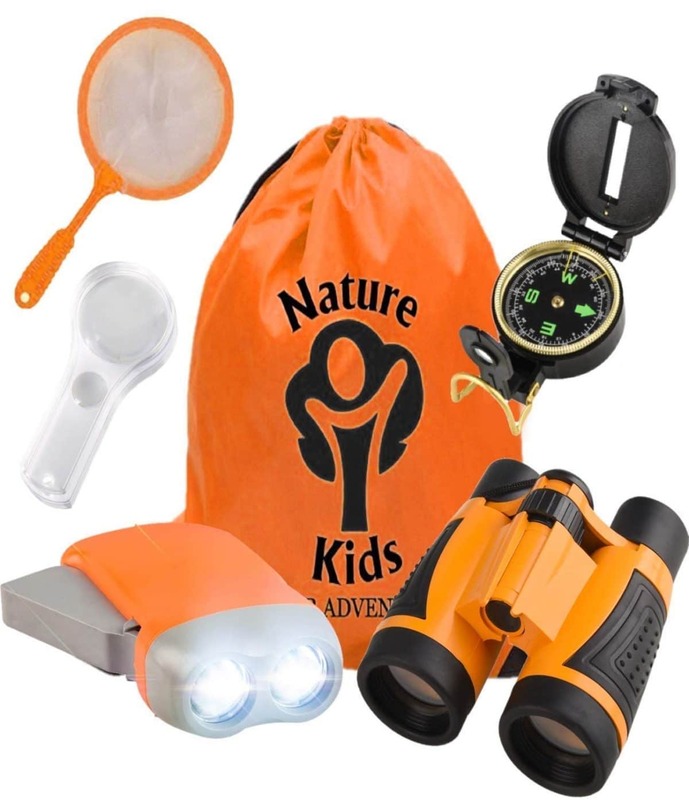 Kids who love to spend time outdoors can truly use an Explorer Kit. Made to offer all that is needed for regular outdoor adventures with friends and family, the kit is recommended for most boys. It comes with binoculars, flashlights, whistles, tweezers, bug collectors and magnifying glasses. Of course, the set is beautifully packed into a cute gift box. Why we like it: With an included bow, arrows and a target, the set is recommended for kids looking to get into archery. The archery set is recommended as a fun way to improve hand-eye coordination. The set comes with a toy bow and its own target which is aimed for with the 4 suction arrows of the set. Kids will also love that the target is self-standing so that they can aim for it regardless of where they play. 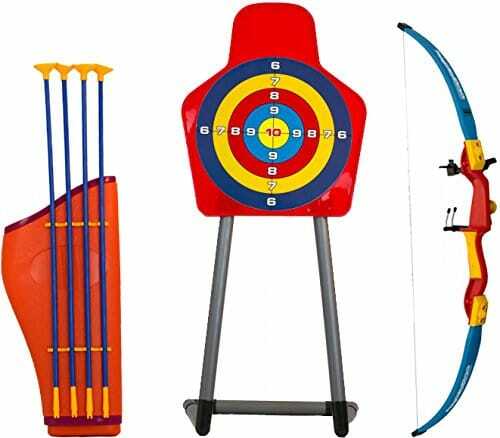 While it is not a professional archery set, it can be a good gift idea to get young boys into the sport. Why we like it: Brightly colored, the kite is recommended for endless hours of outdoor fun. 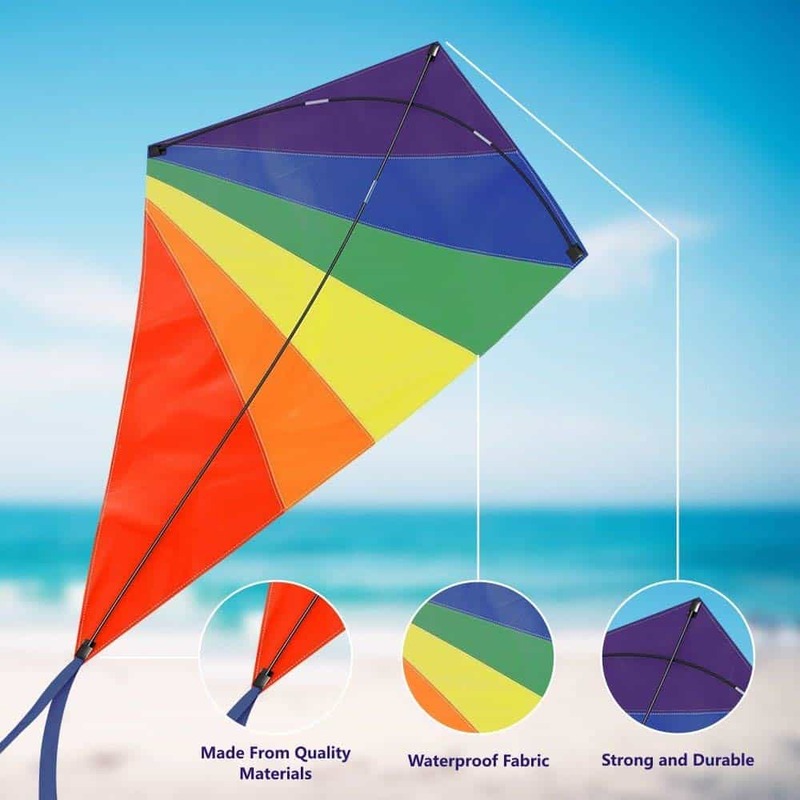 The rainbow kite is a fun solution for kids who want to play outdoors. Provided the wind is right, the kite can fly as high as 50m above the ground. The kite is easy to maneuver by those of all ages and it is why it can also be used in the backyard. For the most fun experience, however, it is recommended to fly the kite in large open spaces such as public parks. Why we like it: With a thin design and a responsive operating system, the iPad Mini 4 is among the best tablets in its class. 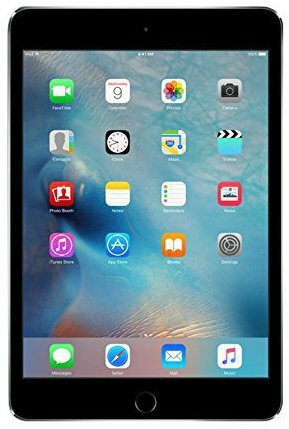 The Apple iPad Mini 4 is among the favorite gift ideas for young boys. With a 7.9” screen, it is great for apps, games or watching movies. Being a tablet which operates with no lag time, kids get to experience the latest apps with the best on-screen experience. The iPad Mini is also capable of taking pictures and recording fun videos at 1080p. Choosing the best toys for an 11-year old might seem complicated. But even today, there is a good selection of old and modern toys and games. For many parents, this is also the right opportunity to include learning toys in the activities of their children. With multiple choices for both indoor and outdoor activities, these gift ideas can be remembered for years.